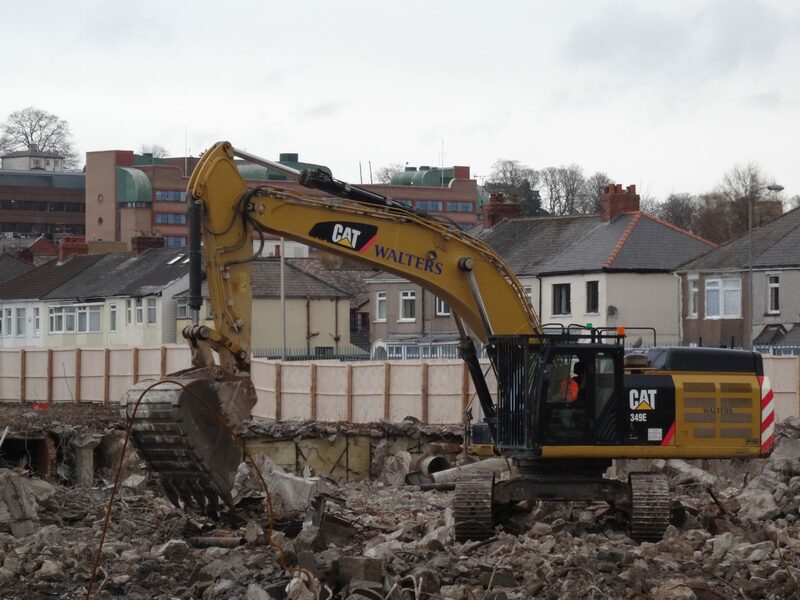 Not-for-Profit developer Tirion Homes commissioned Walters to complete extensive remediation and redevelopment work on the site of the former Whiteheads Steelworks in Newport. The 53 acre site (derelict since the factory’s demolition in 2005) contained a significant amount of residual structures, much of it sub-surface, including reinforced concrete slab and foundation. 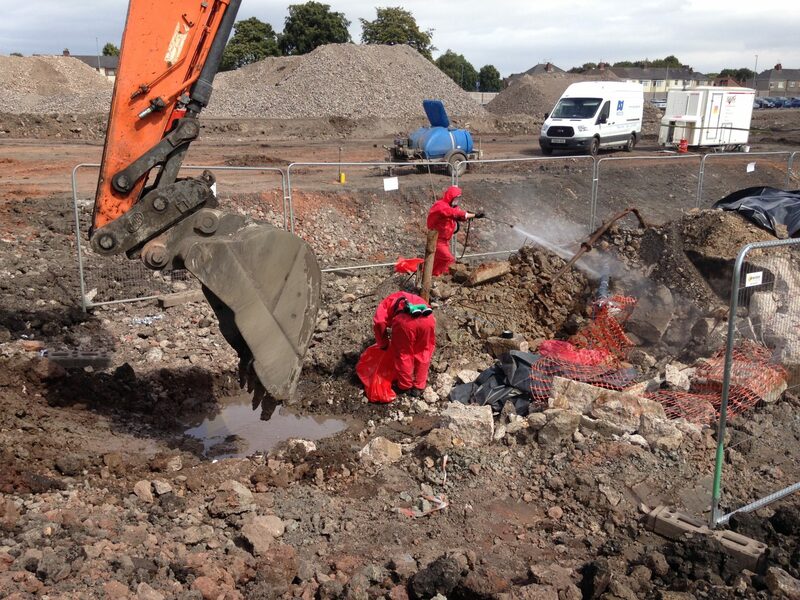 Following a detailed site survey and comprehensive initial investigation work, Walters commenced on a significant remediation programme, working with remediation specialist, Celtic Technologies to maximise the re-use of materials on site through segregation, treatment and processing. 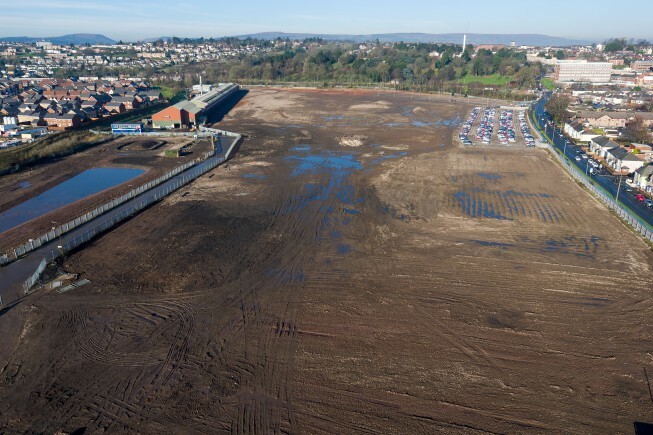 With extensive brownfield experience and knowledge, Walters reprocessed over 300,000 m3 of material to be re-employed on the site, including more than 100,000 m3 of slab, foundations and other buried concrete structures. We uncovered large volumes of asbestos in soils on site and worked closely with the client and statutory consulting bodies, to limit both the extra disruption (and cost) that such a discovery otherwise leads to. There were also a large number of invasive plant and weed species that were dealt with on site to avoid cross-contamination. Tirion homes has plans to develop over 500 homes, a new primary school, a care home, shops and a pub on the site, with an almost 50/50 split between high quality rented properties and affordable homes for sale. The project adds to the’ growing portfolio of brownfield sites in the Newport area, remediated and repurposed by Walters Group.